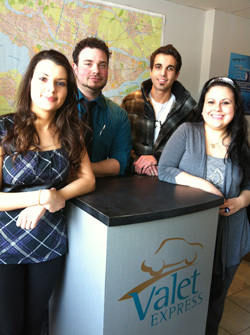 Valet Express has one location servicing the Island of Montréal and surrounding areas. Not sure? Why not try us for a trial period, you will then be able to appreciate the efficiency of the service and see for yourself how satisfied your employees are. The trial period is currently available only in Montréal and surrounding areas.